This square shaped blue bag is appropriate for all those shopping days to carry not so heavy yet moderate weight elements. This bag has a Read More..small handle at the top who colour blends well with the base colour of the bag. 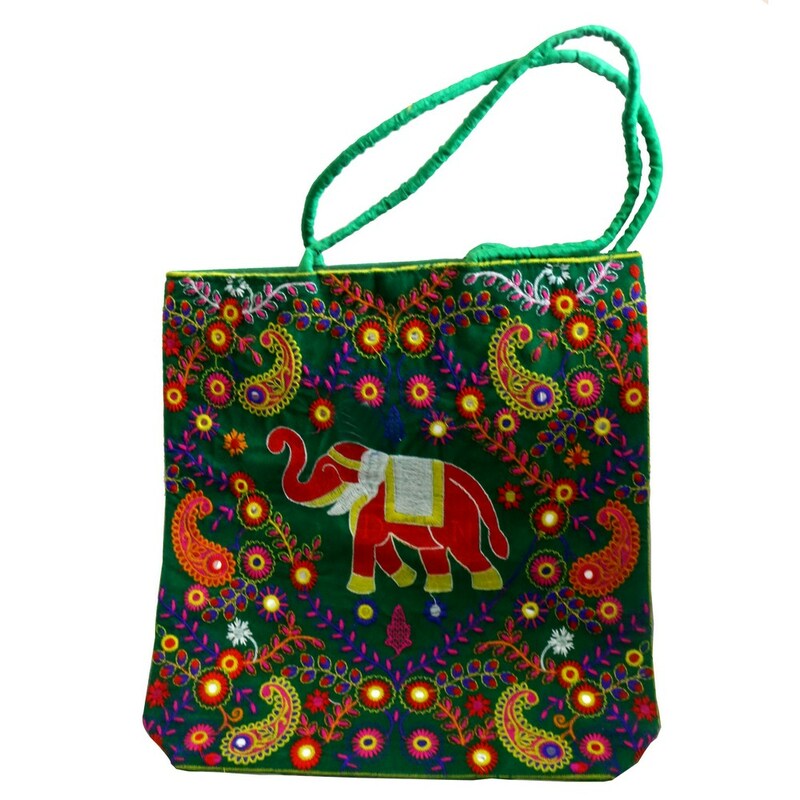 The face of the bag has an elephant showcasing its trunk, detailed with designs and patterns throughout. Show Less..